Poker is a beloved card game enjoyed by millions of players throughout the world, whether for real money at a land based casino or during a casual game between friends. Given the expansion of the Internet, online poker has become a fun and convenient pastime for players looking to engage in this popular game of skill while enjoying the chance to win real money. We explain all you need to know about playing poker online, including the types of poker games available, how to play, payment options and how to stay safe when gambling for real money on the Web. Sign up for an account with a reputable poker site, like any of those recommended by the team here at Betting Planet. You will need to create a username, password and provide standard personal information like your name, date of birth and address. Download the free poker software suited to your device, whether it be a PC, Mac, iOS or Android (specific instructions on how to do this are available at each poker site). To fund your account with real money, enter your user name and password in the game lobby and head to the cashier section. Click to deposit, choose from the range of safe payment methods available and follow the prompts to complete your transaction. Now that your account is funded, go to the game lobby to select the poker game you’d like to play. You can search by type of poker game, number of players, bet limit, prize pot, etc. Click to join the table, or join the waiting list if the table is full and receive notification once a seat becomes available. 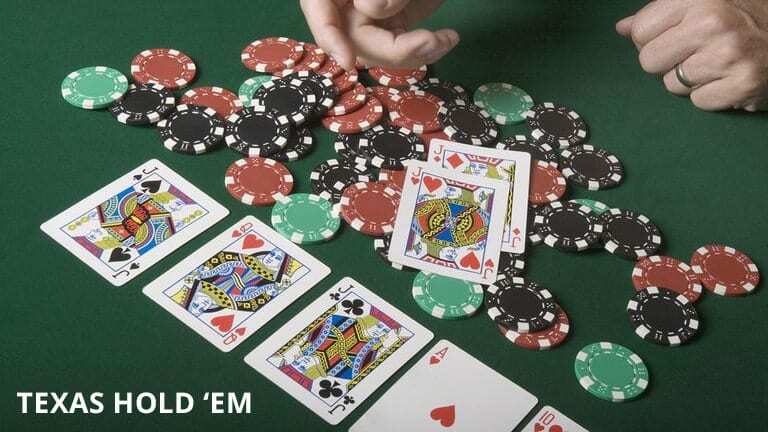 Once you are logged in, cashed up and ready to play, betting takes place just like any standard poker game, only it’s all done through computerised chips. Use your mouse or touch screen to make your moves and get in on the action. Detailed how-to-play guides and rule books for each poker game are available at our recommended poker sites, and you can always opt to play free games so you can familiarise yourself with new games before diving in and committing to a real money wager. Sit & Go tournaments have a pre-set number of entrants required, and games only commence when that number has been met. All players begin with the same amount of chips, and gameplay continues until only one player remains. MTTs (multi-table tournaments) commence at designated times, with all players buying in at the same price. As each player busts out, they are moved around to balance out the remaining tables until the final table remains and one player wins all the chips in play. More than one player gets paid, making MTTs one of the most popular types of poker tournaments. Made up of only two players at the table, Heads Up poker tournaments are where everyone plays until one player at the table has all the chips. From there, players are matched against the winner at another table to play more rounds until only one ultimate champion is left standing. Other poker tournament types you’ll find online include Deep Stack, Satellites, Free Tournaments and more. Check the poker site of your choosing to see what kind of tournaments they offer before you sign up to make sure it has what you are looking for. If you’d rather a space where you can hone your skills by playing against the computer instead of other players, online poker is also available at online casino sites. RNG (random number generated) poker provides the option of playing for free in practice mode, so you can test out your poker strategies and sharpen your skills without having to risk any money. If you prefer RNG poker, you can also sign up with an online casino to play for real money. There are no downloads required to access RNG poker, with games available for instant-play directly over your computer or mobile Web browser. Live dealer poker is the perfect antidote for players who want to combine online poker play with the excitement and suspense of playing against a real dealer. Live dealer games are hosted by real, professionally trained croupiers from high-end casino studios, and streamed to your computer in real time via a live video feed. You get to place bets from the comfort of home without anyone being able to see you, but you get to watch as the cards are dealt and hands are announced in real life. 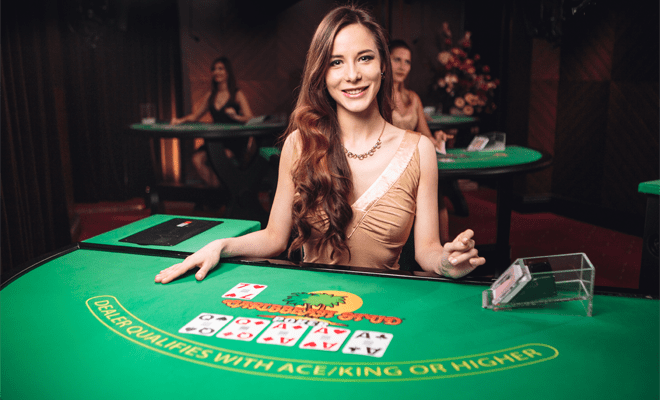 It’s ideal for those who are sceptical about RNG poker games but also want a little more interactivity and excitement than standard online poker rooms. Minimum and maximum deposit limits apply, and the range of withdrawal methods available isn’t always the same as the deposit options – check the banking terms and conditions of your chosen poker site for further information. It’s no surprise that online poker is so wildly popular, as playing on the Internet offers far more benefits than playing in real life. For starters, there’s the convenience of being able to play anytime, from anywhere you can secure an Internet connection, without the added hassles presented by heading to a real life casino. There’s no need to worry about parking, no need to meet dress codes or fork out extra money on drinks and transport. You can kick back on your couch with your laptop while you listen to your favourite music, snack on whatever you like and not have to deal with croupiers, bouncers or bartenders. On top of that, you’ll have such a bigger variety of games available, so you can choose your favourite poker variant or branch out and challenge yourself to learn a new types of poker. Playing poker online opens you up to all kinds of bonus offers and promotions you will never get from a land based casino. There’s welcome bonuses, hot one-off promos, real world prizes, loyalty reward programs, refer-a-friend bonuses, matched deposit bonuses and more. Once you become a member with an online poker site, you will get access to exclusive offers available just for players, so there’s always an incentive to stay loyal to a venue. Land based casinos reward players too, but it’s really only the high rollers that benefit in that scenario, whereas the bonuses available online mean everyone’s a winner. Of course, there are certain elements that online poker lacks. For instance, the social element of playing with friends while shooting the breeze, or the suspense of playing against another person face-to-face, are factors that playing online just can’t emulate. There is no reason why you can’t do both – we suggest honing your strategies while enjoying the comfort of playing from home, then putting your poker face to the test in real life every now and then to balance things out. Getting dressed up and playing poker in a brick and mortar casino is fun for a night out every now and then, but nothing beats kicking back in your comfiest clothes and playing at your own leisure. Playing online poker for real money is perfectly safe, provided you stick with a reputable, licensed poker room like any of the trustworthy venues recommended here at Betting Planet. These sites are all licensed within world-class gambling jurisdictions, employ responsible gambling practices and are protected by a bare minimum of 128 Bit SSL (secure socket layer) digital encryption security. If you are playing using a shared or public Wi-Fi connection, we strongly recommend using a trusted VPN (virtual private network) for an additional layer of security. Other than that, as long as you stick with licensed poker sites and use general Internet common sense (like never giving out your credit card information or passwords to other players), playing poker online is completely safe. Keen to give online poker a try? Sign up at one of our recommended poker sites to claim your exclusive new player welcome bonus and see for yourself why so many players are turning to the Internet to play this classic card game.